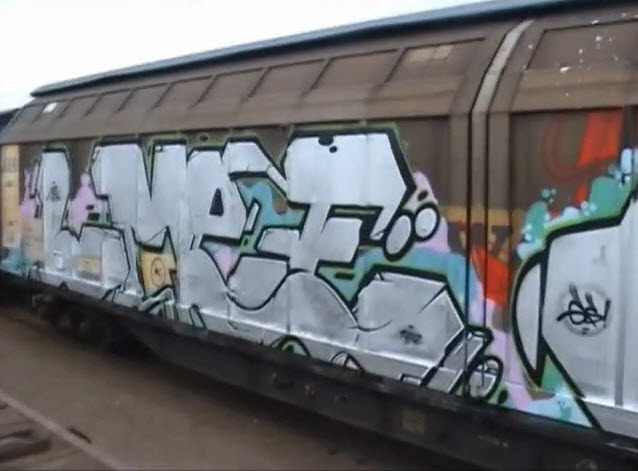 HEYU.AM.GS gave me some live freight graffiti footage a while back but due to lack of time and/or motivation I didn’t get around to doing anything with the material until now. Here is the little under 5-minute result of what I managed to pull out of my hat. First track is off El-P’s Fantastic Damage album (Def Juks label) and the second one is a Swollen Members track of which I forget the name. Hope you will enjoy the clip, please feel free to give feedback, it’s greatly appreciated!